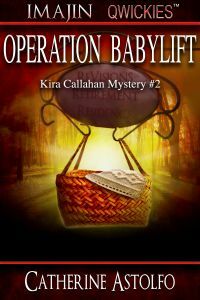 Two new arrivals at Kira Callahan's retirement home awaken her painful memories of the 1975 Operation Babylift plane crash in Vietnam. Two murders later, Kira & the Flower Pots unwittingly bring the killer home with them. A novella that mixes sad & sunny, mystery, romance & history.